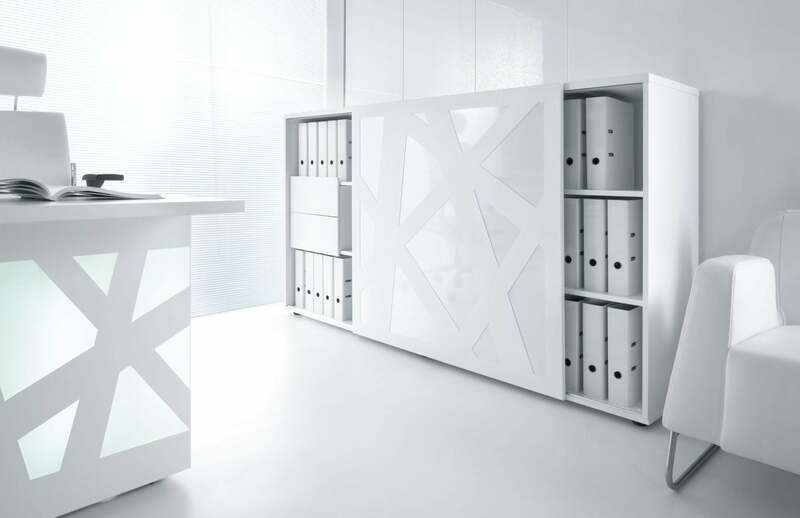 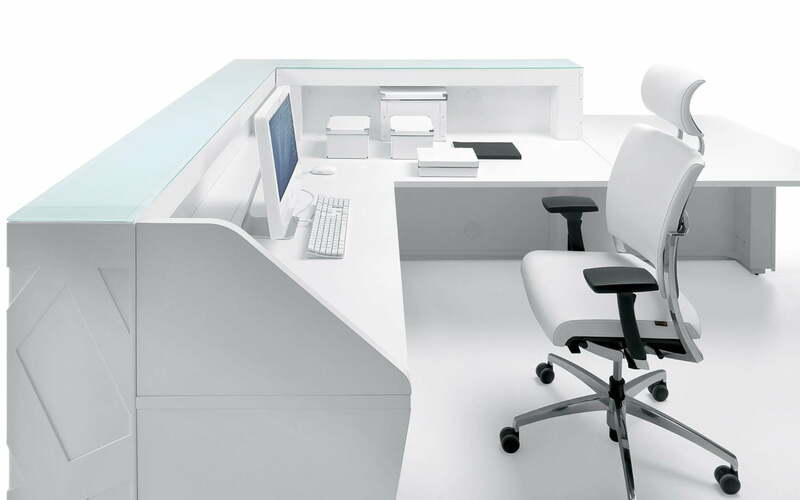 Solid melamine desk in White colour offers 800 mm in depth of working space for the receptionist fulfilling the main requirements for the safe and comfortable workplace. 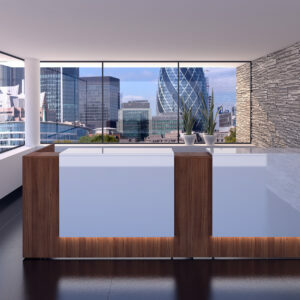 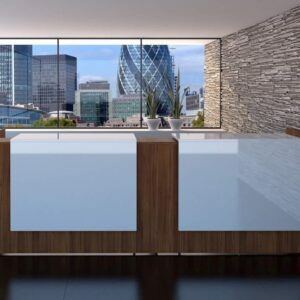 Artfully crafted modern glass covers the top of the Reception Desk. 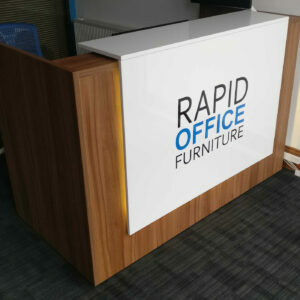 RRP is £4126 + vat – please contact us for discount price. 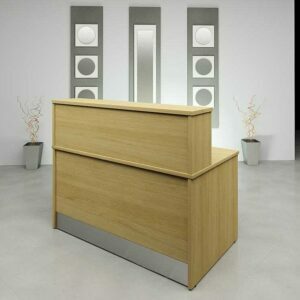 The Reception desk is composed of modular units, which allow for versatile arrangements. The unique back lighting with different colours helps not only to personalize the office but also adds to the charm and perfection to it. 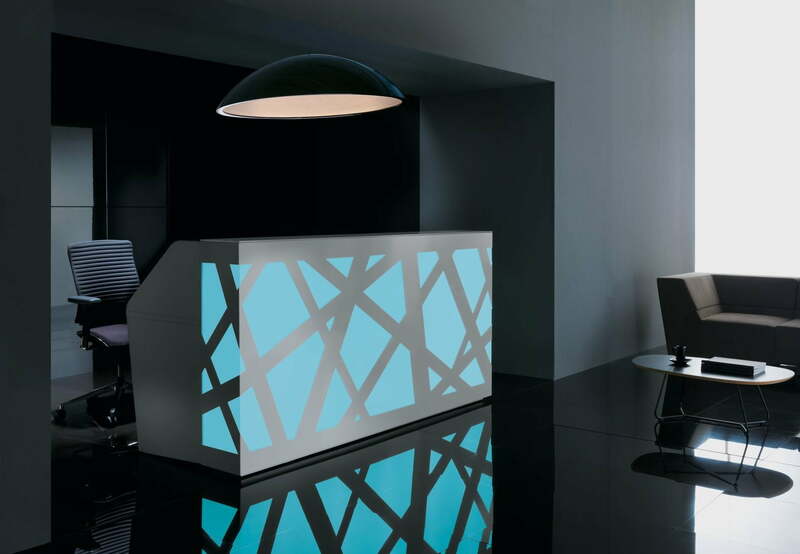 Colour regimes operated by a remote control and are aesthetically pleasing. 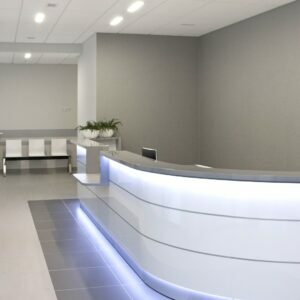 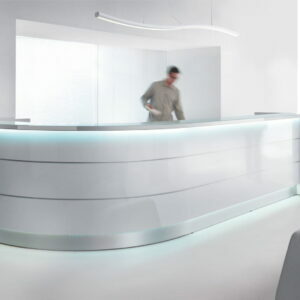 This Reception desk suits a wide range of contemporary interiors and can be configured as a straight or L shape reception desk. 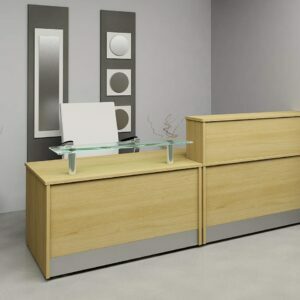 Please contact us for a price – we will endeavor to beat any like for like quote. 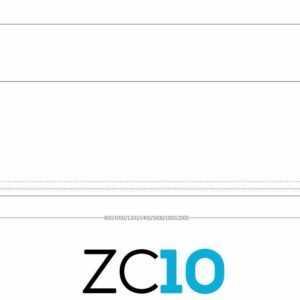 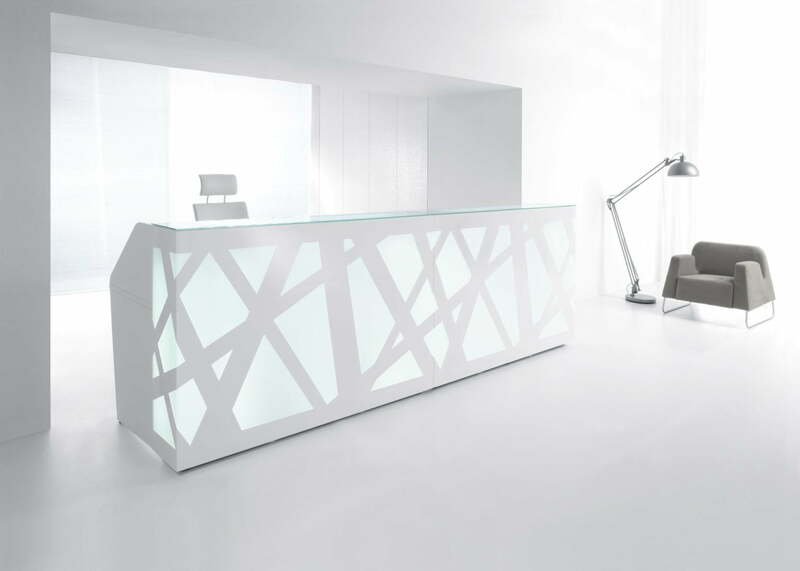 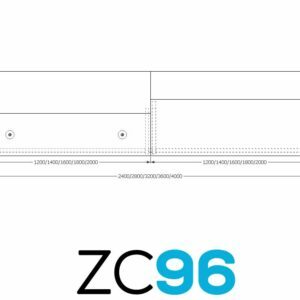 Created by architect Zbigniew Kostrzewa, the new Zig Zag reception desk appears to be the ideal mix of style, reliability and simplicity. 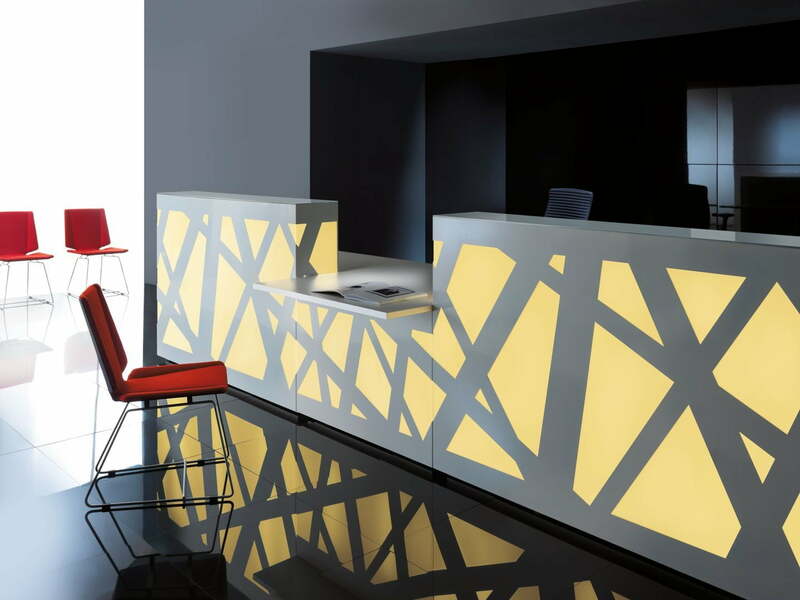 The front panels combine interlacing metal structures with Plexiglas and produce the feeling of extended space for the rooms, where the reception is installed. 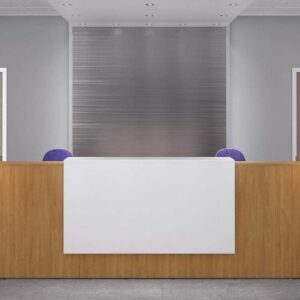 This solid melamine Zig Zag Reception desk in White offers the user 800 mm in depth of working space for the receptionist fulfilling the main requirements for the safe and comfortable workplace. 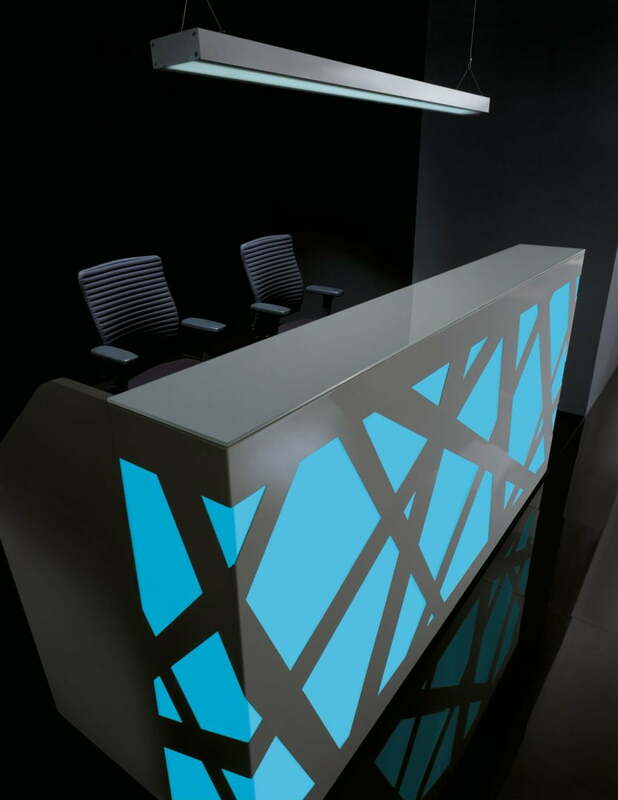 Artfully crafted modern glass covers the top of the Reception Desk. 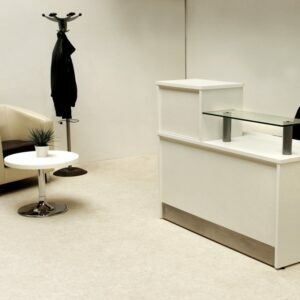 The Reception desk is composed of modular units, which allow for versatile arrangements. 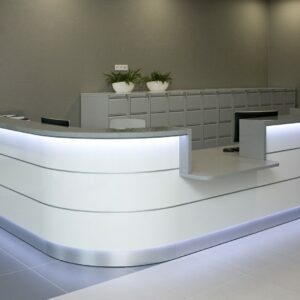 The unique back lighting with different colours helps not only to personalize the office but also adds to the charm and perfection to it. 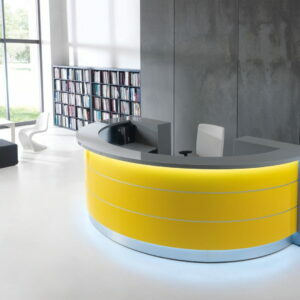 Colour regimes operated by a remote control and are aesthetically pleasing. 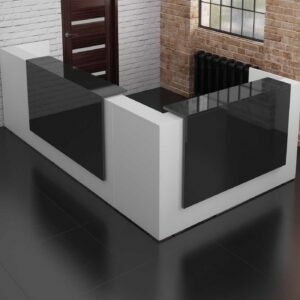 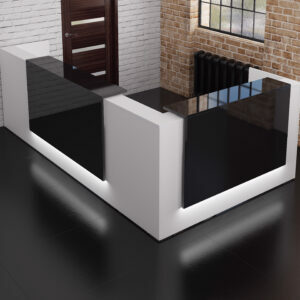 This Reception desk suits a wide range of contemporary interiors with the different colour options availble.